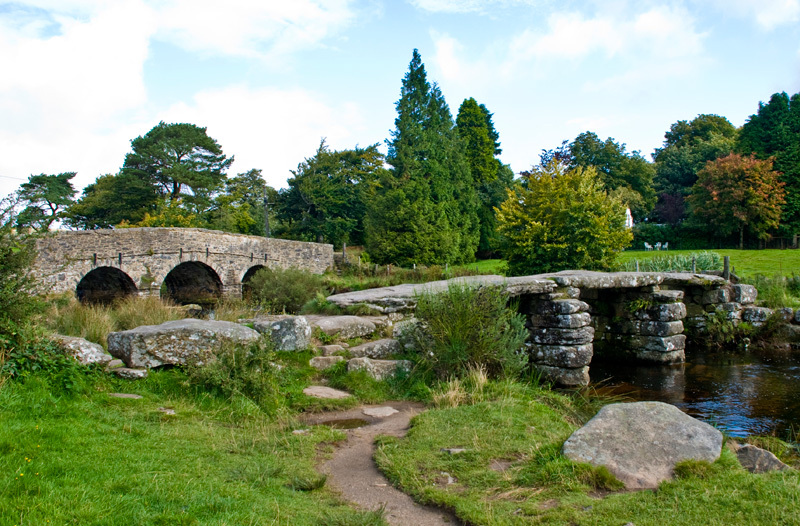 I just got back from a wonderful week in Devon, more specifically Dartmoor. 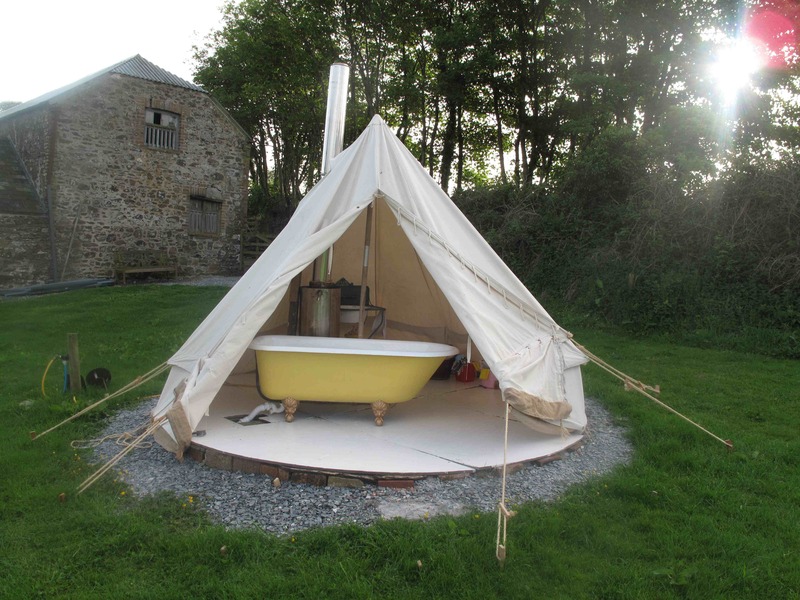 We stayed at Borough Farm with Devon Yurt situated on the edge of the Tamar valley, an area of outstanding natural beauty. I have some wonderful swimming memories from spending time on the moors as a kid. My dad has a farm in Postbridge – a tiny village dating back to the 12th century – which has the East Dart river flowing though it. We used to swim in the natural deep pools near to the Clapper Bridge on hot summer afternoons. The pools were deep enough to dive into, and so clear you could see the trout gliding through the chilly water beneath us. In fact my step-brother used to take horses into these pools to cool them off when it became particularly sweltering. There is a wonderful poem called Dart by Alice Oswald, which captures this remarkable river in a way that I could ever hope to articulate. After three years recording conversations with people – swimmers, farmers, foresters, coarse fishers – who live and work along the river, she produced a stunning homage to the river, and those she met along the way – a kind of liquid rhapsody. Winner of the T.S. 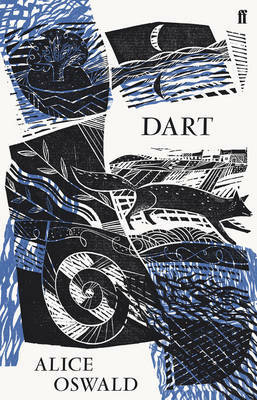 Eliot Prize in 2002 Dart tracks the river from its source to the sea. The other place we used to visit – the place I chose to have a dip on this particular trip – was Bovey Tracey’s Swimming Pool. 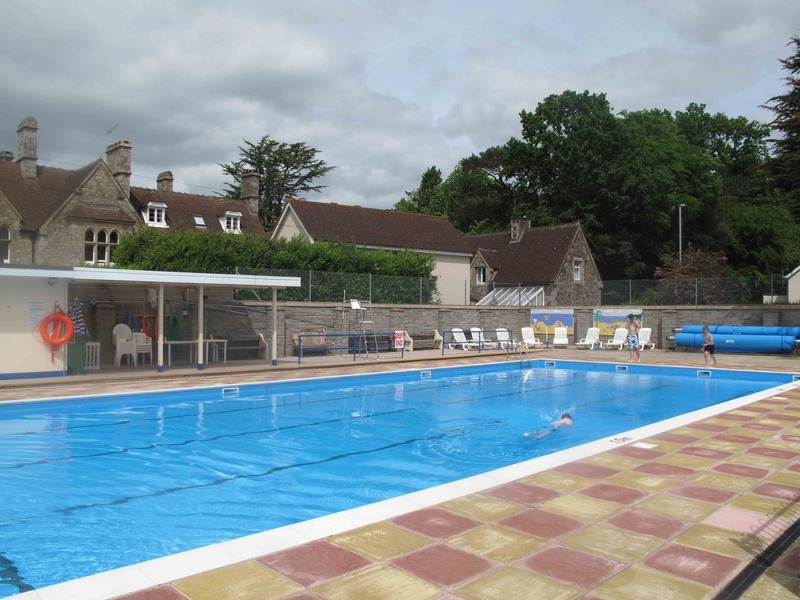 Built in 1973 and run by the Bovey Tracey Swimming Pool Association, this wonderful little pool is a Registered Charity run by a dedicated group of volunteers. The Pool itself is a 25 metre “open air” heated pool and is much smaller than I remembered. There is also a Toddler Pool which is maintained at a luxurious 85 degrees – perfect for my daughter to have a splash around in. She loved it! Situated alongside the village green cricket pitch (you can actually hear as willow and leather collide when you are doing your lengths), it is one of a number of pools in Devon and Cornwall that thankfully have bucked the trend for swimming in bland, municipal sports and leisure centres instead of natural pools. And because it is run by people who love the pool, rather than money men, it is as friendly as visiting a village pub, or local butchers and tearooms. Watch out, the pool has a few eccentric opening times. When we asked at the Tourist Information hut about visiting the pool, the delightful old lady holding court with a number of ‘grockles’ politely informed me that ‘it is closed today between 1pm and 2.15 and the opening times vary from day to day.’ Wonderfully British behaviour. There were only a handful of people at the pool, surprising given the modest admission cost, the surroundings and its own admission that it’s: ‘A great place to relax, keep fit and meet new friends!’ I didn’t meet any new friends, but I swam a relaxing 40 lengths, followed by a good old splash in the kids pool with the rest of the family. There are various different reasons to visit Bovey Tracey – it’s worth checking out the incredibly random auction house, as well as S & D Todd Butchers for its delicious locally produced sausages, but it’s worth visiting this pool as something of a reminder to all the other pools that have been needlessly shut down by local councils over the years. As social as a local village pub, as relaxing as reclining watch a game of cricket, and fun for one and all.